Mexican Tamale Pie - Recipe! - Live. Love. Laugh. Food. 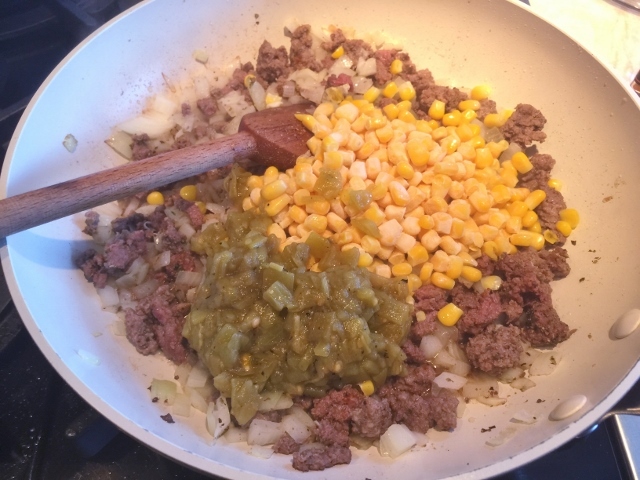 Mexican Tamale Pie – Recipe! 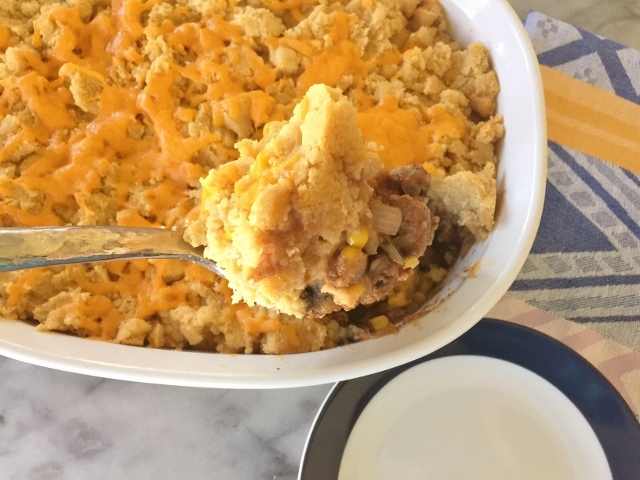 Tamale Pie has been around since the early 1900’s originating in Texas. 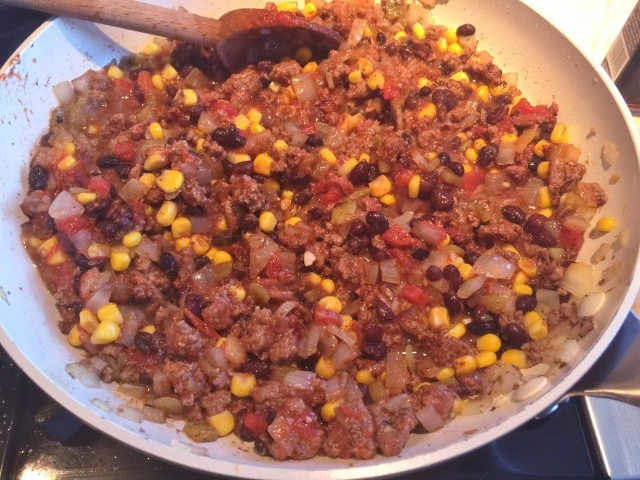 Many recipes are a mixture of beef, beans, chilies with a cornbread topping. 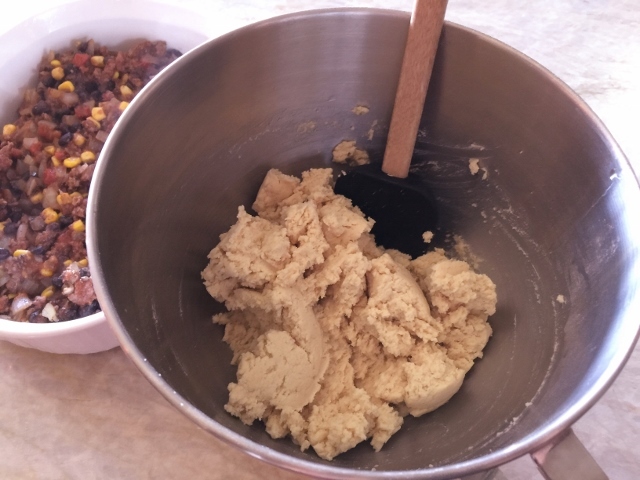 Cornbread is not authentic to Mexican culture and in fact they use Masa Harina – corn that is dried and treated with a mixture of lime and water, then pulverized into a fine powder to make tortillas and tamales. To give my Mexican Tamale Pie a more authentic taste I used Masa Harina. Ground beef, black beans, green chilies, and tomato puree are the filling of this casserole and the combination is warm and comforting – it reminds me of one of my favorites foods – fresh tamales. 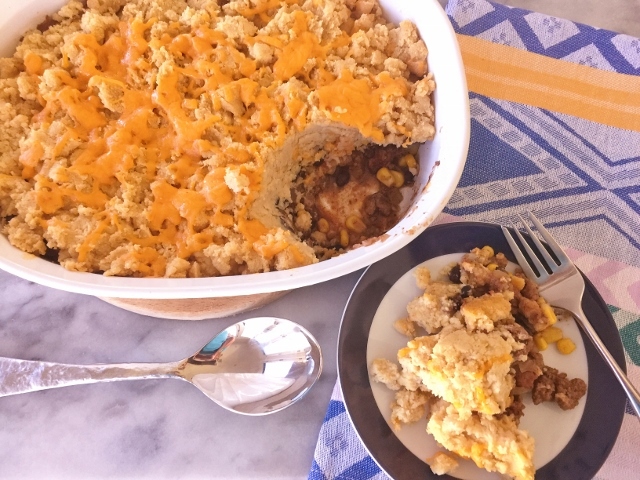 I like to serve my Mexican Tamale Pie with a Mexican Caesar Salad – is that a oxymoron? Wasn’t Caesar Salad created in Mexico? Anyway, this flavorful meal is easy enough to prepare during the week for a delightful experience that your family will enjoy. 1. Preheat oven to 350 degrees. 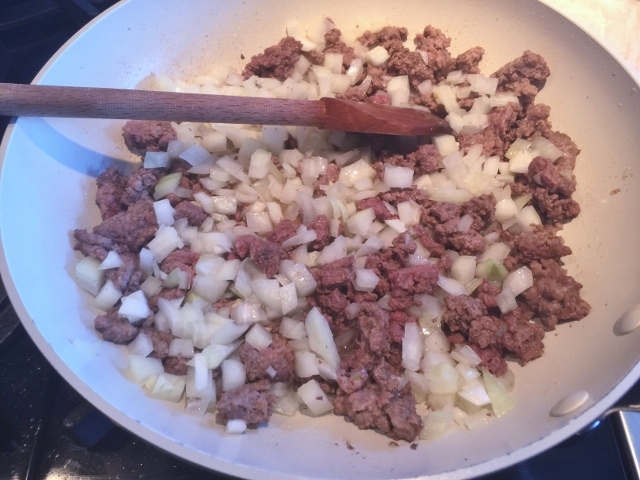 In a large saute pan over medium heat, add ground beef and cook until lightly pink. Add onion and garlic and stir. Continue to cook the mixture for 4 minutes. 2. Add the salt, pepper, cumin, chili powder, oregano and cayenne, stir. Cook for 2 minutes to incorporate the flavors. Add the corn and chilies and stir to combine, continue cooking for 3 minutes. Add the tomato puree and black beans, stir to combine and turn the heat to low. Simmer the mixture uncovered for 10 minutes. Pour into a greased casserole dish. 3. 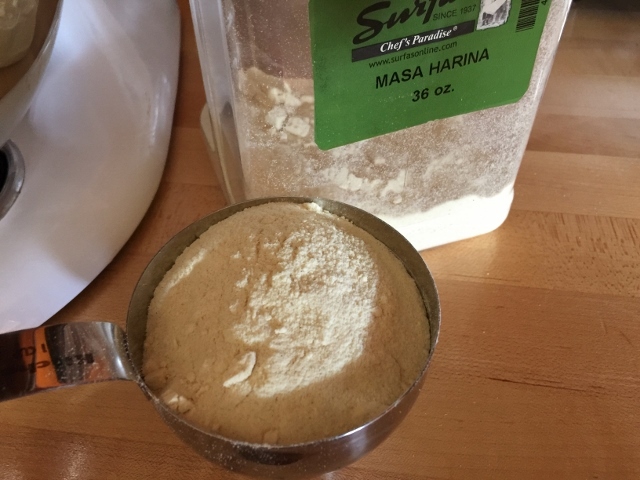 In a stand mixer or large bowl – add Masa Harina, baking powder and salt. Mix on low for 1 minute to remove any lumps. While the mixer is running, add the chicken broth and oil. Mix for 1 minute and remove bowl from base. Stir by hand to incorporate all the ingredients. 4. 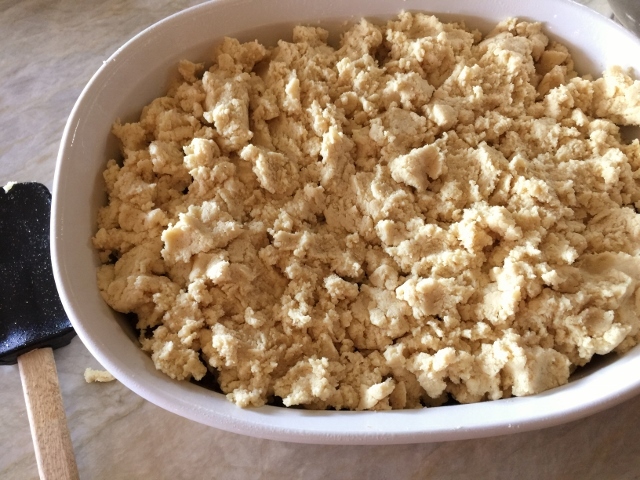 Dollop the dough over the top of filling – it will look like a soft crumble. 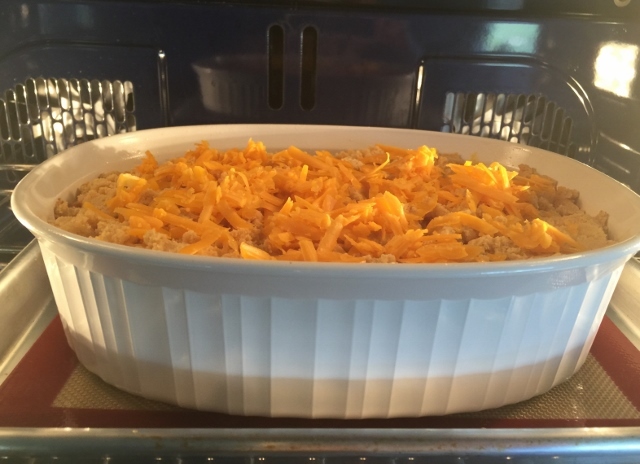 Bake in the oven for 25 minutes, then sprinkle the cheese over the top and bake again for 5 minutes. Remove from the oven and serve on plates. Enjoy! 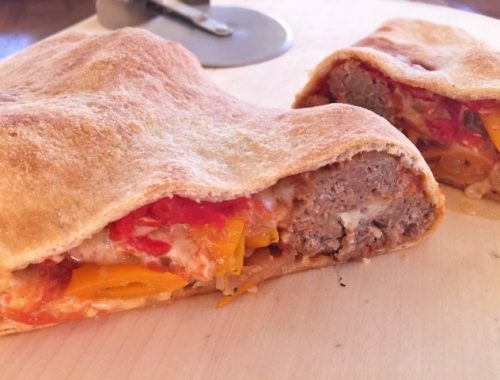 Meatball & Sweet Pepper Calzones – Recipe! 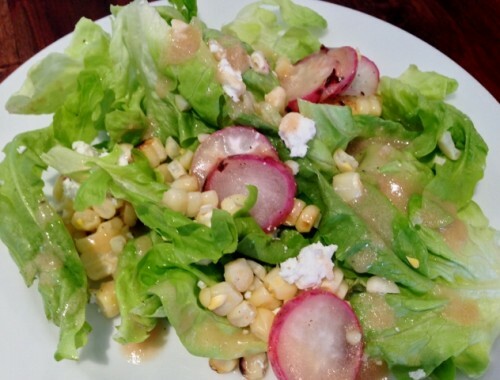 Grilled Radish & Corn Salad – Recipe! Low Carb & Gluten-Free! 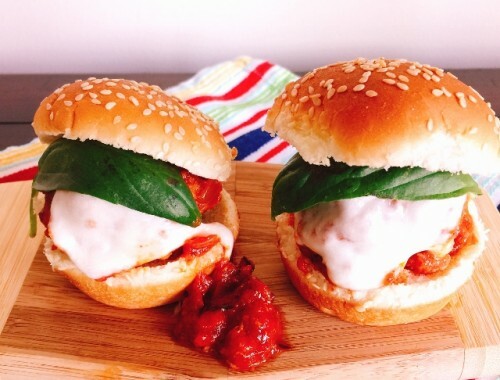 Slow-Cooker Italian Meatball Sliders – Recipe!